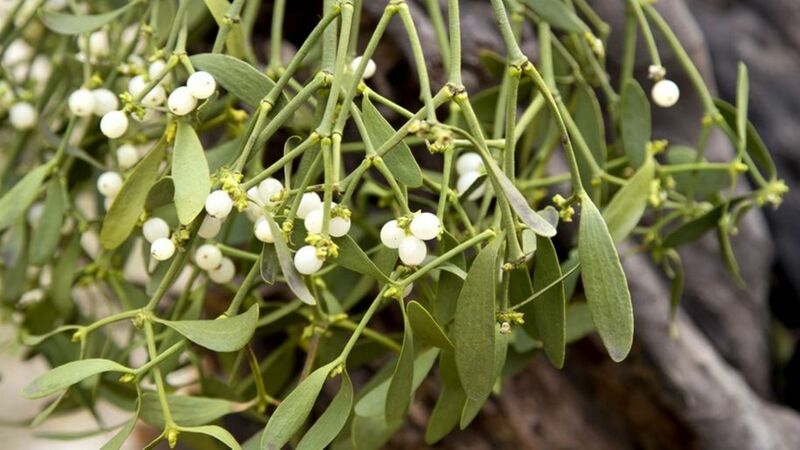 Be on the lookout for mistletoe in Sebastopol’s Ragle Ranch Regional Park. 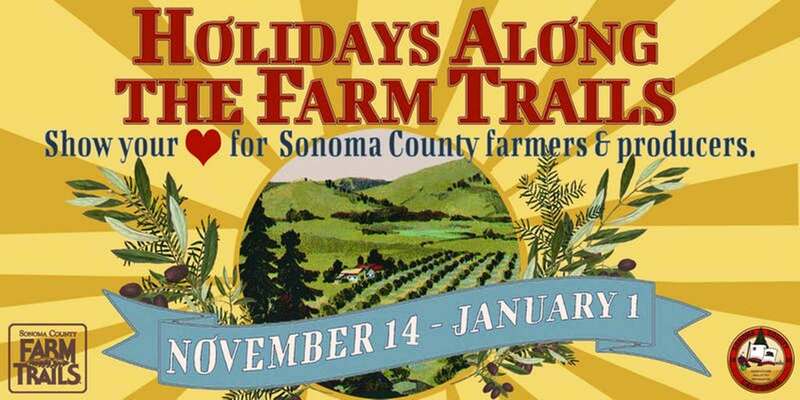 Explore the back roads of Sonoma County while visiting the ranches and farms of Sonoma County Farm Trails members to shop for fresh produce, cheeses, and all the other ingredients you’ll need for a spectacular holiday meal — not to mention flowers, holiday trees (cut ‘em yourself, if you like), gift baskets, and lots more. 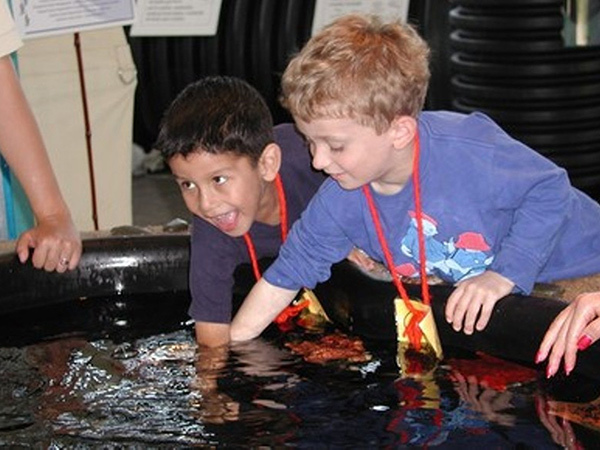 Tours, hands-on workshops, and other activities are also offered. Admission is free, but you must register online; you’ll then receive a full list of participating farms and a link to an interactive map. Your free ticket is good through New Year’s Day. 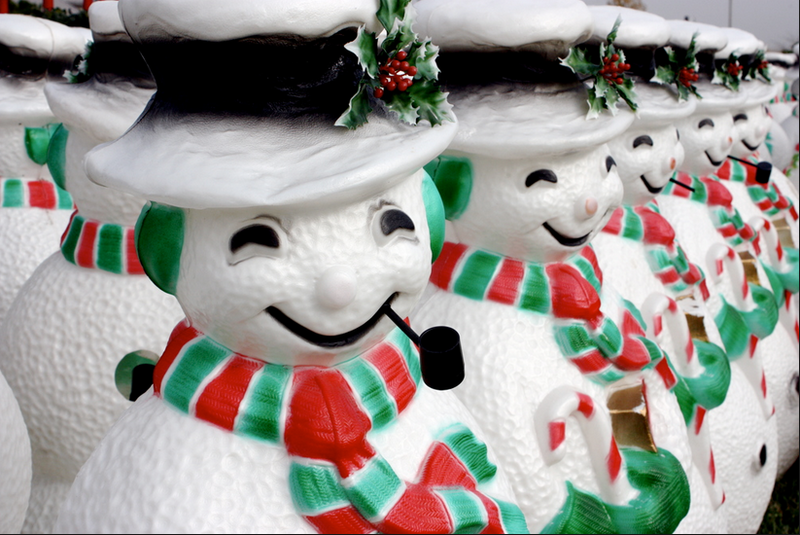 Don’t miss the high-spirited feeling that arises in a happy crowd when 200 decorative, creatively arranged snowmen are set aglow at Cornerstone Sonoma, marking the start of the holiday season. Helping you celebrate will be music, kids' crafts, wine and beer tasting, food, warm drinks, festive holiday decorations, and more. Free admission. If you miss the lighting, never fear: this display will remain up throughout December. LandPaths invites you and your family to Riddell Preserve to find a free non-traditional Christmas tree on The Great Charlie Brown Christmas Tree Hunt. The preserve is thinning young Douglas fir trees to improve forest health, and you can help by cutting down your very own tree for the holidays. These aren’t the kind of manicured trees you’d find at a Christmas tree farm, but they have their own wild beauty. Requires walking 8/10ths of a mile up a steep trail. This event is free, but registration is required. 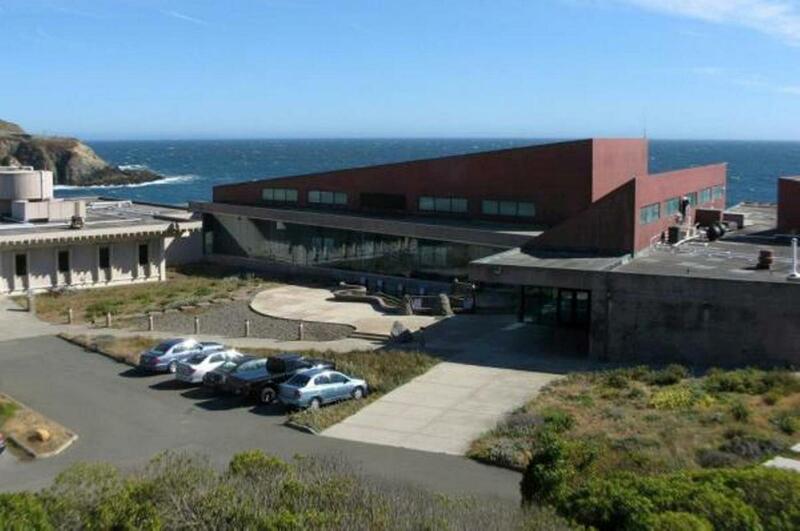 11 a.m.-3 p.m.
Take a free, docent-led tour of the Bodega Marine Laboratory to learn about the immense biodiversity of California’s northern coast. You’ll enjoy numerous marine aquarium displays containing colorful fish, invertebrates, and other sea creatures (some quite unique). Among the highlights: an aquarium with a small kelp forest, home to residents of the local estuary. Friday tours are 2-4 p.m., reservations not required. Let experienced park naturalists entertain your kids at Spring Lake Regional Park with nature activities, winter games, and seasonal arts and crafts … while you’re off enjoying some holiday shopping. Ages 6+ welcome. 10 a.m.-3 p.m. Fee: $40; registration required. For more info: 707-539-2865. 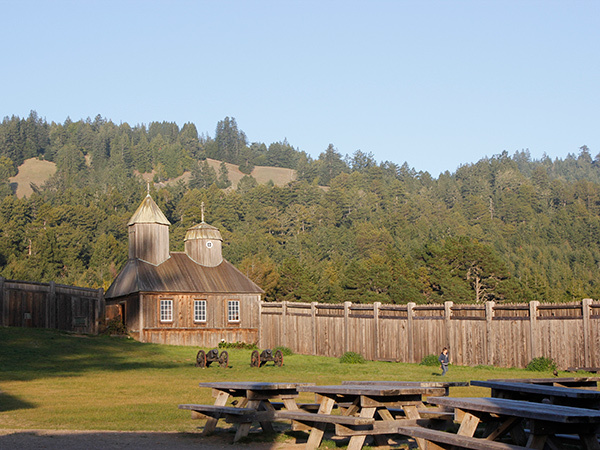 Enjoy a 30-minute interpretive redwood stroll in beautiful Stanley Spyra Memorial Grove at Fort Ross State Historic Park. Park entry is free on this day only, if you download a free pass courtesy of Save the Redwoods League. Meet at the Visitor Center shortly before 3 p.m. to carpool to the trailhead at Stanley Spyra Memorial Grove, just three minutes away. For more information email [email protected], or phone 707-847-3437 or 707-847-3440. 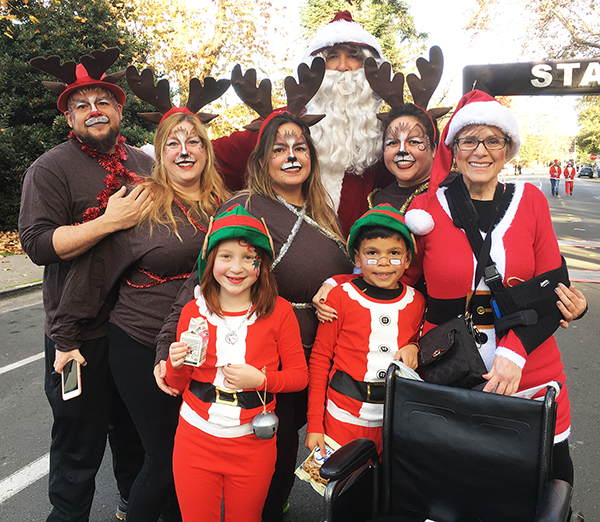 Join the footloose fun at the 3rd Annual Santa Rosa Santa Run — a day that includes a timed 5k Run/Walk, an un-timed Merry Mile that starts immediately afterward, and a festive finish in Santa Rosa where you’ll celebrate with cookies, milk, and music. Families are welcome, and participants are encouraged to dress up as Santa Claus or one of your favorite holiday characters or traditions, such as Mrs. Claus, the Grinch, reindeer, elves, dreidels, menorahs, ornaments, trees, and candlesticks. Why not get your entire family or group of friends to dress up with a theme? Runs start at Julliard Park in Santa Rosa. The 5K Run/Walk begins at 9 a.m., and the Merry Mile starts immediately afterward. Fee: $30-$40. Get the real lowdown on mistletoe, an opportunistic hemiparasite that has developed a beneficial relationship with oak woodlands. You’ll learn whether or not it’s a weed, if it kills trees, and why people like to kiss beneath it. 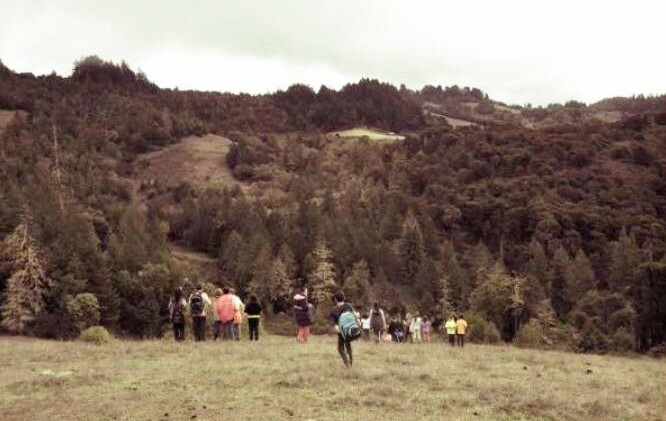 On a 1-3 mile guided walk, you’ll look for mistletoe on the grounds of Sebastopol’s Ragle Ranch Regional Park, known for its beautiful oaks. Meet before 10 a.m. at the park’s Peace Garden. Free (parking fee of $7 applies). 10 a.m.-noon. For more information, phone 707-539-2865. 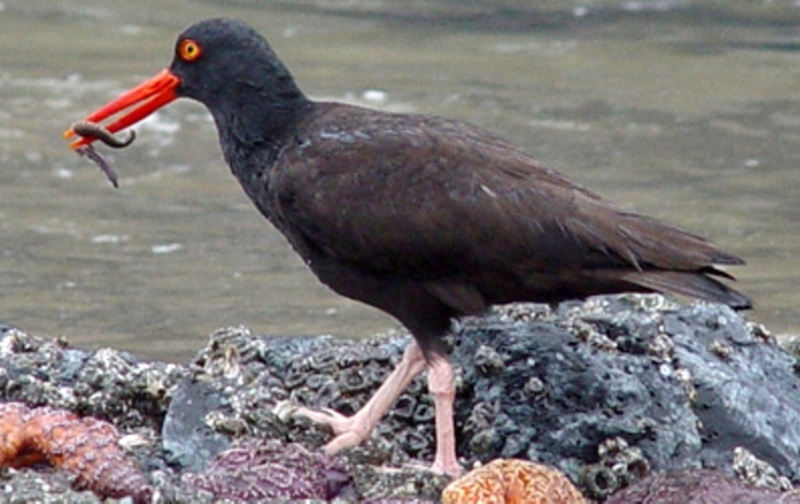 Come to Bodega Bay’s Spud Point Marina for a leisurely bird walk geared to all levels of birding experience. These outings, led by Dave LaCasse and Park volunteers, are geared to older adults and their friends. Bring your own binoculars if you have them (some binoculars will be available for borrowing). Free. 8:30-10:30 a.m. For more info, phone 707-565-2041.